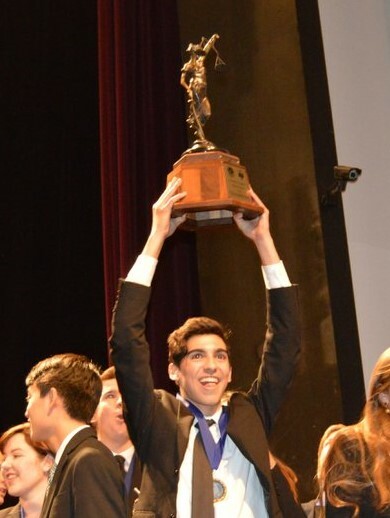 Ventura County students have a long, proud tradition of excellence in local, state and national academic competitions. This is only possible through the strong commitment and partnership of our local sponsors and volunteers. On average, more than 400 volunteer judges are needed to support the 2,500 students that annually participate in Ventura County Academic Decathlon, Mock Trial, Science Fair and VEX Robotics competitions. For the Science Fair, we are seeking judges with relevant experience in a scientific field. For Mock Trial, we are seeking volunteers with law degrees. However, the other volunteer opportunities require no special training. Please see below for additional information and links to our online volunteer registration forms. For information about sponsorship opportunities, please click here. Additional information about the Academic Decathlon, Mock Trial and Science Fair and VEX Robotics competitions is available at www.vcoe.org/competitions.